We are extremely proud to have our own Cookery School and Family Butchers – (Whiteheads Butchers which has been trading for over 130 years). We even rear our own Wheatsheaf Farm lamb. 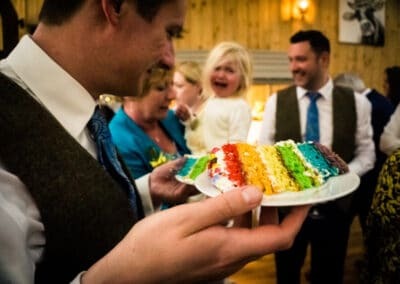 To ensure the quality of the food and to preserve the excellent reputation of Whiteheads Butchers, we provide all the catering and drinks for any wedding or event held at the farm. 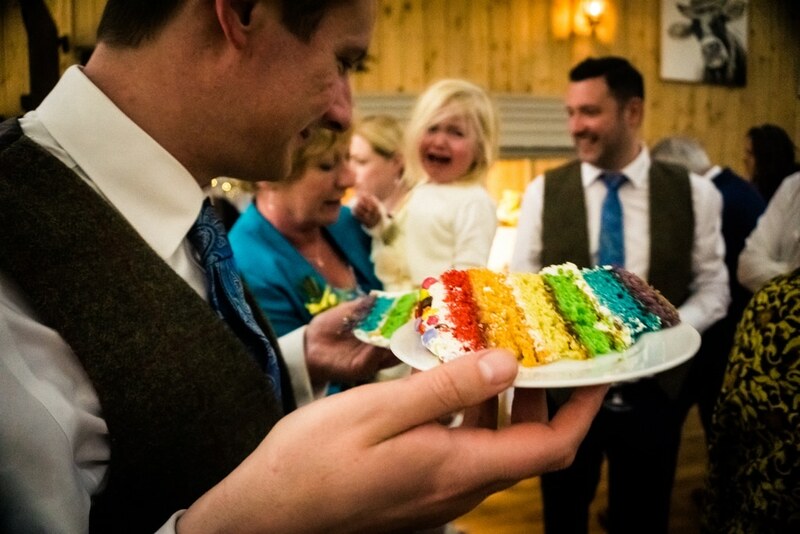 Our formula for wedding food is ‘buy the best quality, cook it simply, serve it generously’. 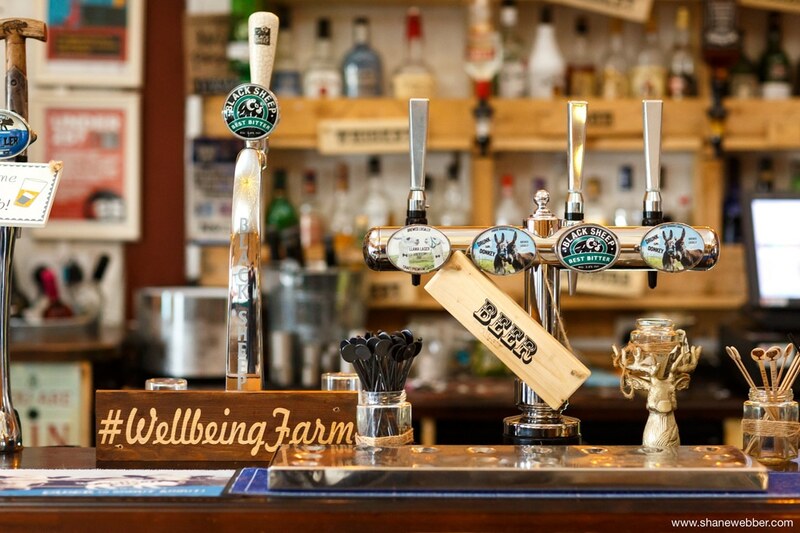 Or put another way, good quality fresh, farm-based Lancashire food served in a unique laid back relaxed atmosphere. Our preference is to offer an informal, social and relaxed service with the main focus being on the food which is placed in the centre of each table. Guests help themselves and the constant passing of dishes provides an ice-breaking subject and constant talking point throughout the rest of your meal resulting in a more relaxed and sociable atmosphere. We grow our own edible flowers on the farm to decorate our dishes and with both an indoor and outdoor kitchen, our own hog roast machine and wood-burning pizza oven, we love making our food dramatic as well as delicious. We can cater for various diets such as vegetarian, vegan, gluten free etc. 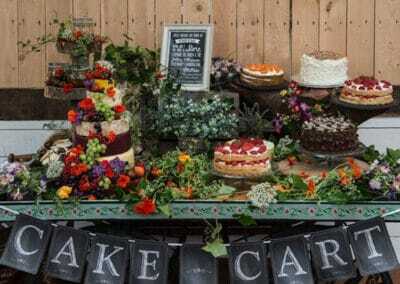 If you are not sure what to do for a celebration cake, we make Cheese Celebration Cakes which are imaginatively decorated with edible flowers, fruit and herbs as an alternative option. 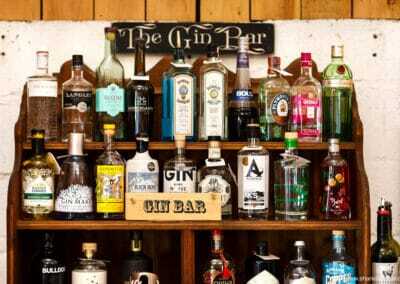 To complement the food, we have a competitively priced drinks list where you will find some lovely local delights and a great selection of animal themed wines! Other than the celebration cake, only food and drinks bought on the premises can be consumed at the farm.